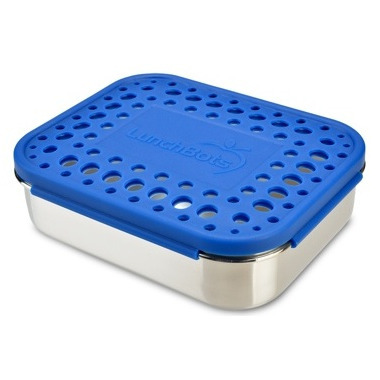 LunchBots Uno Stainless Steel Food Containers are great for packing a sandwich, sushi, burrito—or your other favourite meals to go. Their retro look makes food fun and appetizing, encouraging even finicky eaters to finish lunch. 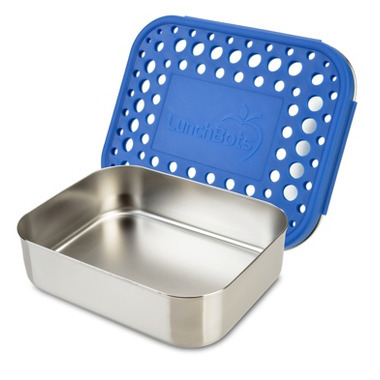 This all-stainless container and lid are enhanced with a snap-on, BPA-free, colourful plastic cover. 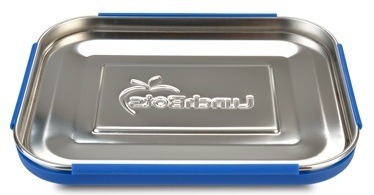 Only steel touches your food, while the durable colour adds to the fun.